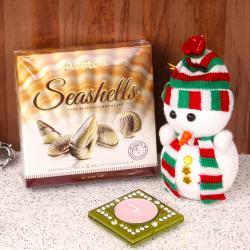 Product Consist : Cute Santa Claus Bunny Lid 3 Pens with Christmas Theme Holder along with Auston Orange Dark Chocolate Bar (Weight : 100 gms) and Rossco Royal Finest Chocolate Box (Weight : 120 Gms). Celebrate Christmas this year by sending elegant gifts to your loved ones. 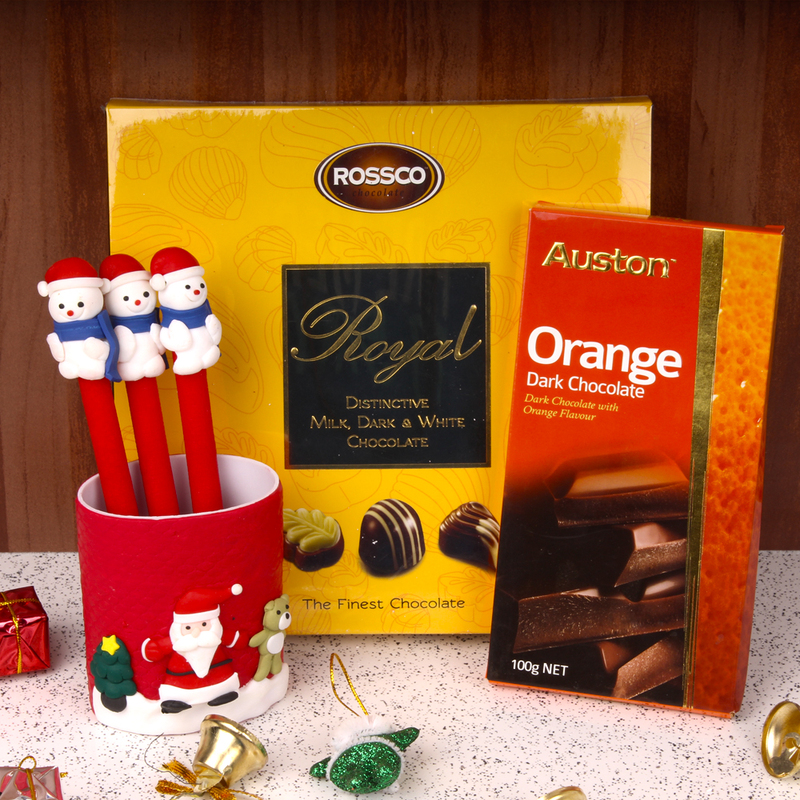 This is a mind blowing gift hamper that comprises of yummy treat of imported chocolate like Austin Orange Dark Chocolate Bar with Rossco Royal Finest Chocolate Box. This hamper also includes three cute Santa pen that can be hold with Christmas special pen holder which sure to adorn office and home for a themed decoration. 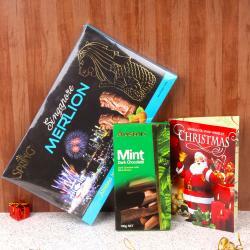 Gift this fantastic hamper to your loved ones on Christmas and show them how special position they hold in your heart. Product Consist : Cute Santa Claus Bunny Lid 3 Pens with Christmas Theme Holder along with Auston Orange Dark Chocolate Bar (Weight : 100 gms) and Rossco Royal Finest Chocolate Box (Weight : 120 Gms).